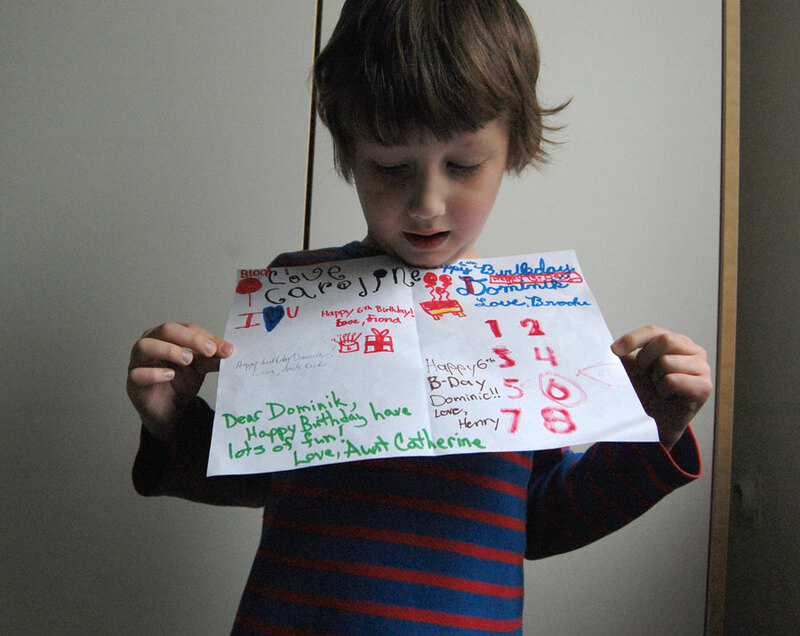 He is showing a sweet card that he got for his 6th birthday from his cousins in America. He also got a cute pj's, overalls, like those he used to wear as a baby. He put them on right away and asked if he could also sleep in his new outfit that night. Oh, and a calculator, he also got that.